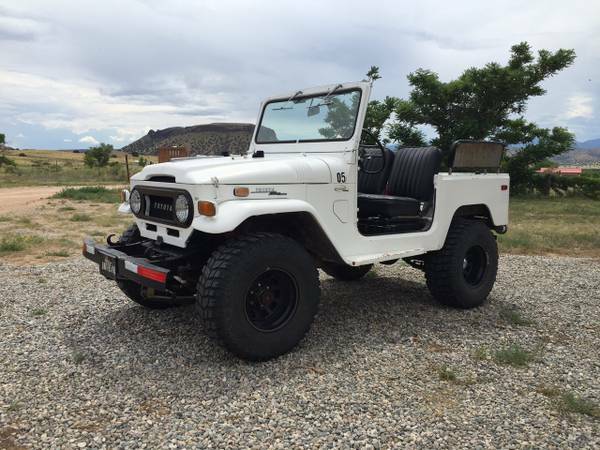 Showing Articles Posted In: "For Trade"
Toyota Land Cruiser for sale, found this final edition of the FJ Cruiser family was released in 2014 like new condition looking for a new home. Time to the end of the FJ Cruiser short journey, with the announcement of 2014 being the last year the FJ Cruiser for the US market, Toyota bring the Trail Teams Ultimate Edition and is one of rare editions only 2500 units were made. 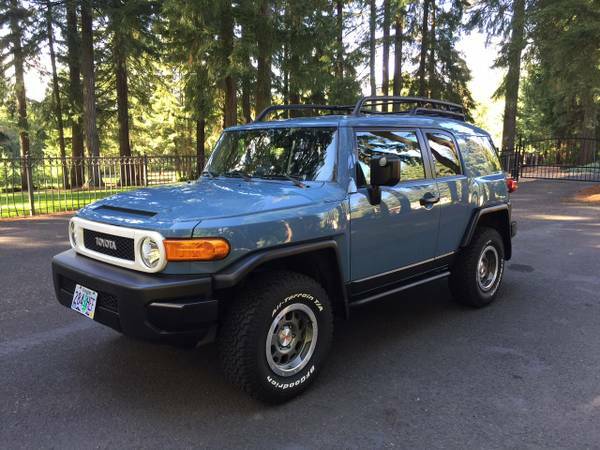 As shown here is one of limited 2014 Trail Teams Ultimate Edition in pristine condition was designed to end the FJ Cruiser legacy in a unique Heritage Blue color and the front grill bezel white, to honor the classic FJ40 Land Cruiser which had a white grill bezel and logo in factory blue color. Same like the 2010 and 2013 Special Editions, it has TRD's beadlock style 16" alloy wheels but in a special new grey finish then wrapped with 265/75R16 BFGoodrich AT tires same like all other special editions. Toyota Land Cruiser for sale, this a rare off-road truck in US that was made by Toyota Japan then exported to New Zealand, but today is already in San Diego, California and it looking for a new home. 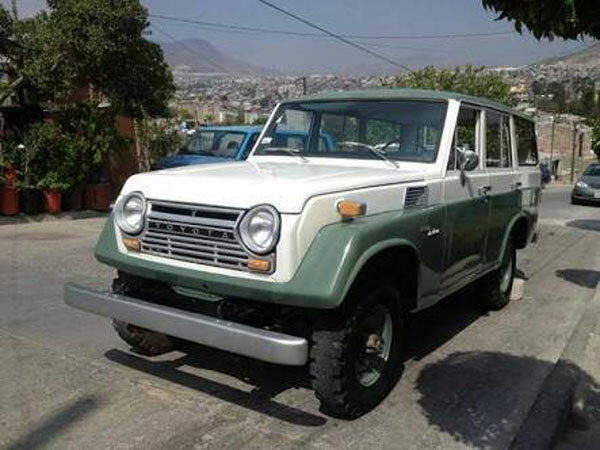 As you've seen here is the HJ47 is a long wheelbase variant of the Land Cruiser families which powered by diesel engine that was built in 1984. The appearance look solid fairly cool with a snorkel air intake and giant bull bar, looks very promising, ready to off-road. 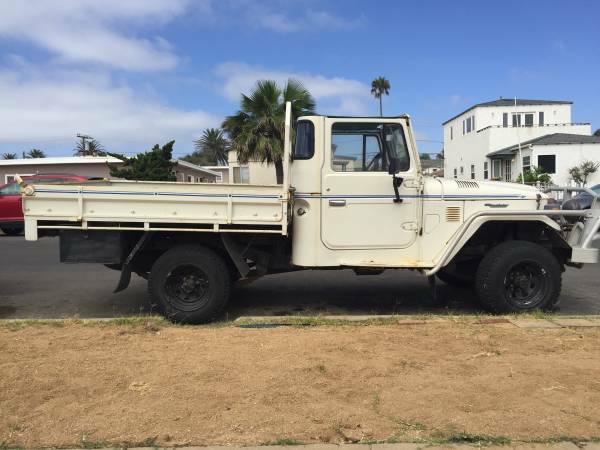 Toyota Land Cruiser for sale, found this one of the Japanese icon vintage SUVs is a long wheelbase of the Land Cruiser families was named the FJ55 it designed with highly offroad capability and not leave a comfort as passenger vehicle. As you see here is 1969 Toyota Land Cruiser FJ55 has been serviced and rebuilt, is said all original in excellent condition overall. 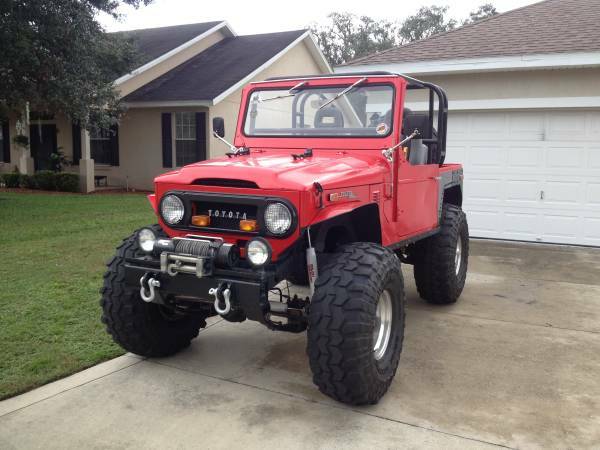 This could be a potential 4x4 classic vehicle to kept it. 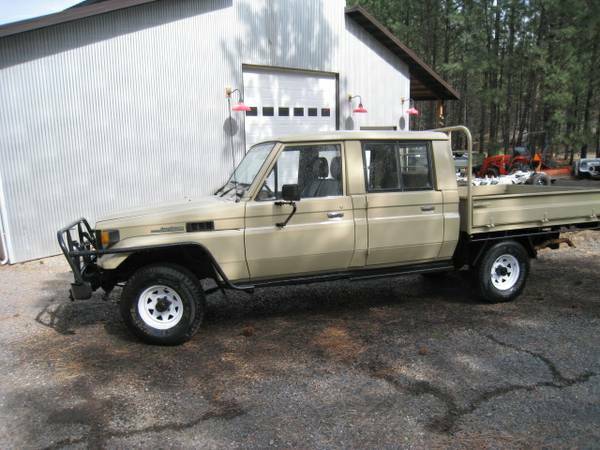 Toyota Land Cruiser for sale, Well, the folks at Toyota took until the mid 2000's to think it was a good idea to build a 4 door 75 Series truck......lucky for the rest of us other companies had the idea way sooner. All 4 door 75 Series trucks before 2008 were not factory built. This fine example was build by Arkana in Australia. Finding a 4 door 75 Series is like finding a needle in the hay stack as most were purchased by large companies and used very hard. The majority of the 4 door trucks were used until nothing was left, so finding one that is in extremely good condition is a blessing. Finding an example this nice makes me want to buy a lottery ticket! The instruments cluster was not functioning when the truck arrived so due to none working gauges there is no way to confirm KM's. All gauges are now working correctly, except for the oil pressure gauge which has been replaced by a new mechanical oil pressure gauge. 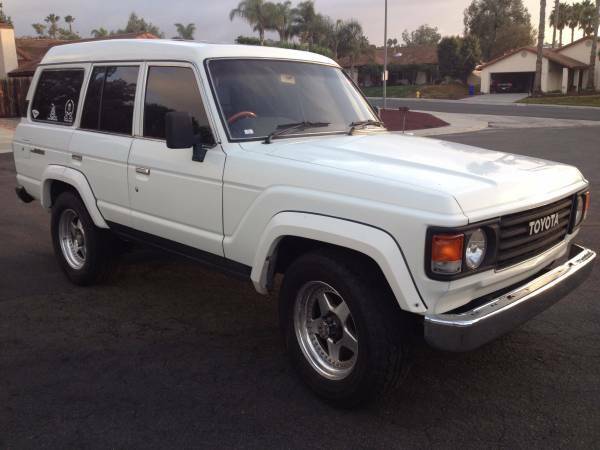 Toyota Land Cruiser for sale, this a 1988 Toyota Land Cruiser HJ61 for sale in California, still in excellent condition all original looks good inside and out. It a diesel version of the FJ61 known as the HJ61 come with a Straight Six Turbo Diesel Engine mated with automatic transmission. Originally is a JDM (Japanese Domestic Market) Car, where is only sold in Japan from new so it gotten a right-hand drive (RHD) specs. Very rare in US, this car was imported from Japan to California as a used car. Hard to see a rust or dent from here, hope is a perfect and very solid as it look.